Bundt cakes are special. They deserve their own season. And their own blog. 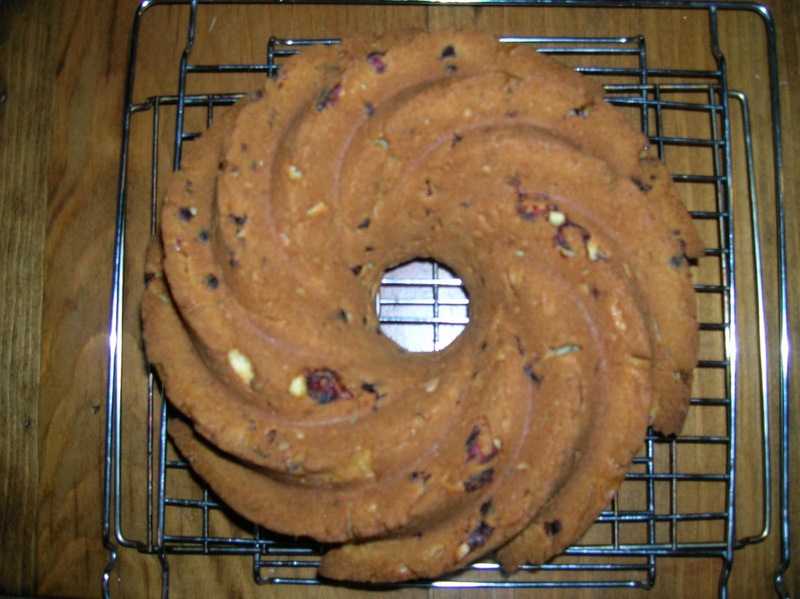 Why a Bundt Cake Season? Would you like to join in on Bundt Cake Season? All you need to do is bake up a cake and then email me the results (bundtcakeseason[at]gmail.com). Please include the recipe & recipe source--a picture would be nice, but not necessary. And I'd really love your analysis of the cake. I have a bundt pan and I'm not afraid to use it. This is just a quick mini-post. I know I still need to tell you about bundts one and two of Bundt Cake Season Five (and actually bundt three, since this isn't a full post), but this just calls for an out-of-order post. Like many of my East Coast friends who were going to be potentially affected by Hurricane Sandy, I decided that the situation called for some baking, which in my case, meant a bundt. Having lost power in last year's October snow storm, I figured we'd want something that didn't need refrigeration and would be easy to snack on. I also wanted it to have some sort of redeeming nutritional value, so I decided to go with a cranberry-pecan bread, rather than a cake. Since there was clearly going to be no glaze with this bread, it meant I could use my newer "wave" pan, as I've dubbed it. It wasn't until I turned it out of the pan, that I realized how appropriate that pan choice was. See for yourself. 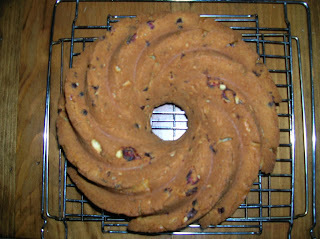 Yep, it's a hurricane-shaped bundt! Luckily, we didn't lose power this time. I'm crediting the bundt bread.